There are really only a few ways to collect rent online, because there are only a few ways money can move across a network. All of the services out there, like Cozy, PayLease, and others, will use one or more of the following methods. Most banks that offer online banking for personal checking accounts will offer renters online bill pay. Bill pay requires your renter to log into a website via a computer or mobile device, configure you as a payee, and initiate a payment. Your renter can check a box to make the first payment a recurring payment. As a landlord, you can refuse to rent to someone who cannot figure out online bill pay. Lack of computer skills is not a protected class under federal law. You will, however, have fewer applicants. Using automatic recurring bill pay to pay the rent will be predictable. Whether or not you or your renter remember, the bank is going to initiate a debit on that renter’s account according to the predetermined schedule. If you both use the same bank, some banks will give you the option to receive the funds directly into your account. This turns bill pay into electronic rent collection for no cost. Collecting rent online with automatic recurring bill pay is also free for both parties even if a paper check ends up getting sent. Fewer tenants will be able to use automatic recurring bill pay. It requires a minimum level of educational attainment to set it up (or at least, “tech savvy”), and it requires a steady cash flow. Automatic recurring bill pay gives the renter and the landlord no built-in mechanism to communicate schedule delays. If a renter is short one month, and they log into bill pay to cancel their rent payment to you, you will never know. You’ll just keep waiting for that check to arrive. When things go wrong, the fees with automatic recurring bill pay can be steep. If the renter overdrafts, they will pay something like an industry average $30 overdraft fee. If you receive a check that bounces, you will also pay a $30 bounce fee. The bank can net $60 on a single goof. The regulatory body that governs ACH transactions is NACHA: The Electronic Payments Association (like “nacho” with an “a”). 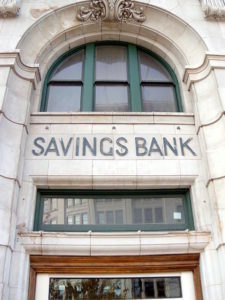 The acronym comes from their former name, the National Automated Clearing House Association. You can become a NACHA originator. All you have to do is talk to any bank with business services, and ask for their ACH contact. Each renter will have to sign an ACH Authorization to Debit. Manual ACH can be very predictable. It will be available to you on any banking day. You can set your own reminders to initiate the transactions and load them into the ACH network via your bank. Manual ACH can also be flexible. Under the NACHA guidelines, you can take money later than the due date if need-be. You can break your rent into smaller, easier to pay pieces for your renter. There will not be a bounce fee for you as the owner. Unless you are naturally persuasive or well-read in security, fewer renters will agree to give you their bank details. 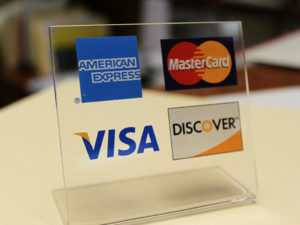 Many renters have a distrust of banks and electronic payments. If the renter overdrafts, they will incur a $30 insufficient funds fee (NSF). You as the owner will have to pay your bank a monthly fee regardless of volume. You will also have to pay a per-transaction fee. You must be NACHA compliant. This means you have to perform identification and anti-terrorism checks on all your renters, have appropriate ACH documentation, and respond to ACH network information returns. You will still have to handle all of the communication with your renters. If they are going to be short, or if they want to change their bank account information, that administration falls to you. The history of credit cards shows why they’re so expensive. No one wanted them to begin with! The only way credit cards got started was in 1958, when Bank of America created 60,000 credit card accounts for the inhabitants of Fresno, CA, mailed the new cards uninvited to every inhabitant, and told all the businesses there that they had better start accepting master charge and paying the fee. The rest is history. You can also sign up to pay credit card fees on all your rental income. Just talk to your bank about becoming a merchant processor. They will gladly assist you. You can also use Google Pay, Square, PayPal, or open yourself up to any of the rent collection services that offer credit cards in the mix. Credit cards have one major, crucial advantage: you can get paid even when the money doesn’t exist. A renter who is teetering on bankruptcy can still pay your rent until they hit their credit limit and get turned off. You will pay $20 to $50 per $1,000 of rent collection, depending on the card type, whether your renter is getting travel miles, etc. For a typical three-decker or three-floor building, this will add up to over $1,200 per year, or an entire month’s rent. Credit cards only work if the renter is credit worthy. If they can’t qualify for a card to begin with, or if they hit their limit, cards are no use. You will still have to do all of the communication. If the renter can’t pay, if their card gets lost and the number changes, if their card expires, all of that administration is on you. 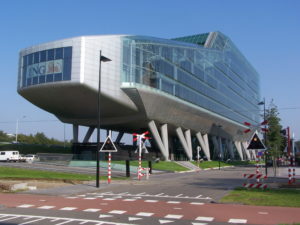 Screenshot of Buildium. No endorsement expressed or implied, just an example of management software. 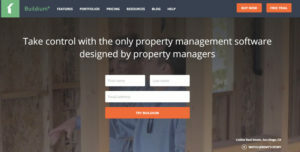 Property management software typically combines all of the above options. These packages offer integrated rent collection and accounting. Platforms like Buildium, Appfolio, and Yardi are the professional favorites. They offer a host of elaborate features, including PayNearMe, a Yardi service that lets renters pay in cash at various locations around the country. They also typically include maintenance request management, marketing, and more. Property management software also offers a host of time-saving features. The lowest entry price for a service that makes money will be $45/mo for Buildium. These systems typically require a renter have a computer and/or a bank account. If you want to change the timing of rent payments, you may or may not be able to do that, depending on the software you purchase. If you want to offer partial payments and payment plans, that will be hard, depending on the software. Note that rent collection is not the primary activity of these companies. Jack of all trades, master of none. 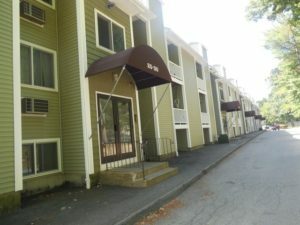 The building where RentHelper’s communication systems first helped a renter and a landlord collect rent online, use an alternative payment schedule, and avoid eviction. RentHelper was built by landlords who already had management systems in place. The goal was specifically to improve on rent collection communication, a task normally handled by staff. You can think of it as “management software lite” or as an add-on to your existing systems. RentHelper is SMS-controlled ACH. The default is to debit, but renters can text changes in timing or amount. You can hear about delays immediately or later, as suits your preference. We haven’t talked about this above, but RentHelper reports payment histories to TransUnion. This helps good renters build credit, and gives an extra incentive to marginal renters to pay on time or negotiate a new plan. Landlords will find RentHelper is much faster especially with late payers. Because we’re using lowest-common denominator enrollment processes, all renters can participate, even if they cannot use a computer. In fact, renters can participate even if they do not have a bank account! RentHelper will never send a paper check or charge either party a bounce fee. We work hard with renters to ensure that they WAIT before we debit them, because their bank may still charge them an NSF fee. But you will never see this. This should go without saying, but read the fine print on other services: you want the rent deposited in your account by tenant name and unit number, not all in a big mashed heap each day or week. And you don’t want the fee taken out of the amount, which will give your accountant heartburn when it comes time to reconcile. RentHelper deposits each amount as received. Any fees are taken on the last business day of the month as a single separate transaction. There are no minimums or monthly fees. RentHelper lives in a niche between cheapest ACH and dearest credit cards. It costs $6 per $1,000 collected. A landlord once told us, “We changed to weekly payments and they became my best tenant.” Think of which technology you want to collect rent online. Think about the value of your time, and what it means to have professional, friendly communication with your renters. Pick the rent collection method that best opens up possibilities for your renters and for your business.